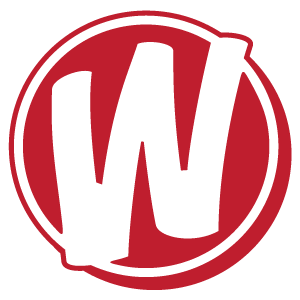 If you’re not a member of Webcomics.com, here’s some of the information and tutorials and you missed. Of course, you can always buy my new book based on this site — finally available in print! The Webcomics Handbook is the sequel to How To Make Webcomics, and it’s based on some of the best information from Webcomics.com, and you can read it right now. 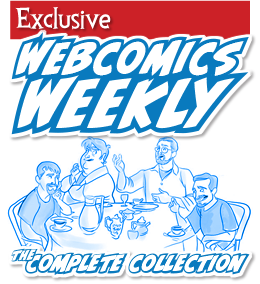 Of course, members of the site can get the digital edition for 50% off. Do you have your EIN? Here’s why you should. Usage rights: Are you familiar with the different usage rights that apply to your work — and what they’re worth? Kickstarter Hacked: As soon as Kickstarter released information that their popular crowdfunding site was hacked, Webcomics.com updated with a post alerting members to this fact and telling them what they could do to protect themselves. 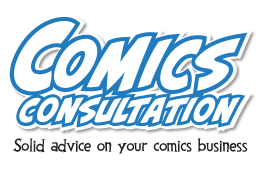 Mailbag: “Can I put your comic on my site? A member asked a seemingly simple question — How to respond to an Internet “reprint” or “syndication” request. The answer isn’t quite as simple. Sales tax guide: Sales tax varies from state to state, and it’s something webcartoonists need to be aware of — whether they’re merely selling goods on the Web or traveling to out-of-state cons. We provide a handy guide to navigating the issue. Covers designed to sell: In a guest piece, Webcomics.com member John Bogenschutz discusses a finer point of book-cover design — one he uses to convince people to buy more books. Facebook advertising: Does it do more harm than good? An engaging and thoughtful video demonstrates how paying to boost a Facebook post might actually decrease your ability to reach your fans on Facebook. Klout scheduler: Social-media analytics app, Klout, has developed new functionality for their users. We talk about what it is, and we identify how you could use it to better reach your readers. Negotiating a price: We give you solid strategies on getting paid the most for your hard work. WordPress back-up to Dropbox: This handy plug-in could save you a lot of heartache. What are the first steps to building a Web site? The members weigh in on hosting, CMSs and branding. Patreon rewards and milestones: Members discuss best practices and brainstorm strategies. 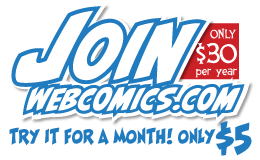 What’s your favorite thing about creating a webcomic? Header image: A member was having trouble getting his header image to display correctly on his site. He got help in the forum. WordPress plug-in recommendations: Members offered to plug their favorite plug-ins. Hand-outs at conventions? Are you allowed to distribute flyers and other freebies is you’re not buying a table at the con?